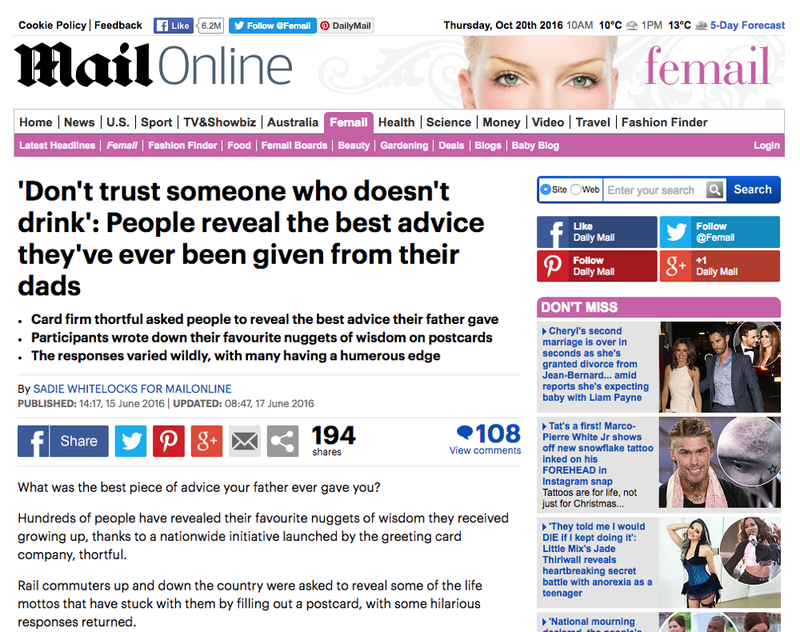 LoveLove Films’ Thortful campaign was covered by the mainstream media in June 2016 when Mail Online published an article showcasing the video. The article can be found by visiting this link. LoveLove Films was approached by greetings card company Thortful to assist in the creation of an online video depicting advice given by fathers to their children. The video was designed to show the importance of fatherly advice and highlight Father’s Day. LoveLove Films used the Cinechrome studio as a backdrop for the filming process and invited a selection of fathers and their children to speak openly about some of the best (and not so great!) advice handed down. The end result was a humorous and sometimes touching video exploring father/children relationships. The video was used by Thortful on their social media streams, website and YouTube channel.